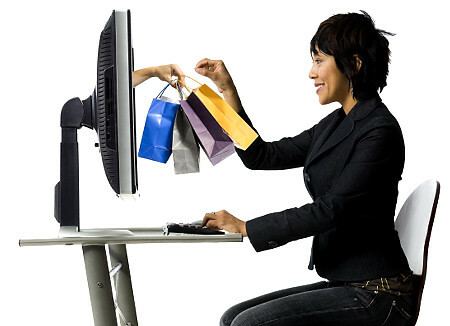 As the number of Internet users continues to grow, the success of online shopping increases along with it. E-commerce is now a significant niche in the market, with almost anything and everything available to consumers on the Internet. Products vary greatly from books, clothes, gadgets, to even food. There are uncountable websites dedicated to the comfort of shopping at home while simply logged on to the computer. But the Internet shopping landscape during its beginnings did not look like the open and densely populated market we now know it to be. The first online store was Book Stacks Unlimited, owned by Charles Stack and launched in 1992. Although the idea was ingenious and led the way to future online bookstores, unfortunately, weak implementation eventually led to its failure. Pizza Hut, surprising to many, was also one of the pioneers of e-commerce, with it providing an option of online ordering in one of its restaurants in California. However, it did take several years before the test run expanded into a fixed option for the company. In a nutshell, the early years of Internet shopping were full of hits-and-misses, risks, some pay-offs but even more loses. The biggest hindrances to online shopping in the past were the high incidence of identity theft, lack of consumer-friendly site interface, and the dot-com bust. But despite these drawbacks, with the help of computer programmers' improved software and increased security, investors and businesses rebuilt and redefined online marketing. Today, online stores are in the millions, with shops catering to both businesses and direct consumers. Many advances in technology have afforded this enterprise with more options for mobile shopping, as well as increased competitiveness in prices. Affordability has boosted the number of customers opting to do their shopping from a computer. Alongside this is the availability of more modes of payment. In the earlier years, credit cards were the only option for payment of goods purchased online. But now, with the development of internet money and the acceptance of alternative means of payment like checks, cash on delivery, wire transfer and debit cards, Internet shopping has become even more accessible. Growth in this industry shows no sign of slowing down in the future, according to research. Statistics continue to prove that it remains a growing trend, with an estimated 63% of all Internet users already purchasing products online. Further, as banks continue to increase the security of personal and credit information, more people are less doubtful of the practice. It is this attitude of consumers that will thrust the potential of e-commerce even further. As a recent study has noted, 71% of online users consider it to be more convenient and easier in comparison to the traditional method of shopping or buying through TV or catalogue. Experts postulate that the future of online shopping rests on user experience and as this grows and consumers share these experiences with others, shopping online will grow along with it. Technology is grounded in the principle of making life easier and more comfortable. Online shopping is one of the best examples of this. With the continuous growth e-commerce has had ever since it started in the early 1990's, it seems impossible to imagine that it won't continue to expand as the years go by. 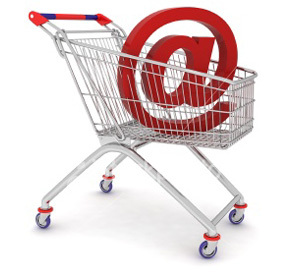 Online Shopping Tube has been designed to buy products online. It offers a large number of products associated with different categories. You can buy here as you want and when you want. So keep in touch with us to familiar with your needs. Online shopping is very convenient for moms like me.